What are the words that children dread more than anything? Summer’s over! Although the long, lazy days and fun-filled nights are over, this doesn’t mean that school should interrupt your child’s healthy living regimen. We have compiled 10 tips to keep your child healthy this school year. Sleep is one of the very best things that you can do for your body. While sleeping, your body recharges and rejuvenates to keep the body in optimal shape. 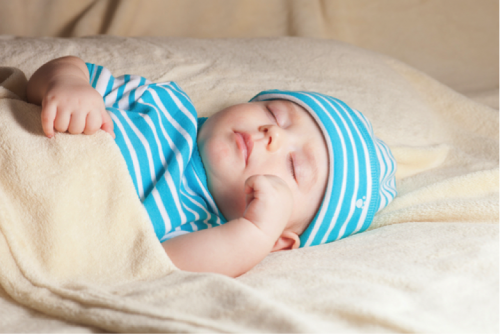 Healthy sleeping patterns begin in childhood to create a life-long standard of great sleeping. The Sleep Foundation suggest that school-aged children need at least 9-11 hours of sleep to stay healthy and well. The perfect amount of sleep can stave off illness and disease and keep the immune system strong to fight those back-to-school germs. It’s no secret that the most important meal of the day is breakfast. Breakfast feeds the brain, keeps the metabolism in check and keeps your child full and satisfied for a great and productive day of learning. Yogurt, oatmeal, eggs, smoothies and muffins are a few great choices. Eating the right foods can keep hunger pangs at bay, blood sugar regulated and stabilizes the mood to prevent those temper tantrums that can lead to calls from the school! While three square meals are important, snacks should be included in the mix. They can help refuel your child when energy is getting low. Once energized, concentration improves for better learning. Quick, easy and healthy snacks can include whole grain crackers, nuts, yogurt, cheese strings and anything high in protein. Get your child’s heart racing and limbs moving by encouraging your child to exercise. Whether it’s running, walking, jumping jacks or an organized sport, your child will get the physical activity needed for a healthy existence. Your child’s weight will be in check, which can translate to lower cholesterol, lower blood pressure and less chance for developing diseases like heart disease and diabetes. Too much TV keeps your child on the couch instead of up and moving. Limit TV time not only on school days but also on the weekends to keep your child healthy. While it may be a struggle at first, your child will soon thank you for sending him or her into the fresh air and out from the trance of the television. While there’s been a lot of talk recently about the safety of immunizations with some parents opting out, immunizations have been shown to be safe for most children for a number of years. Immunizations can help prevent a number of preventable diseases like mumps, polio, rubella and more. The flu is not only painful and inconvenient, but it can lead to hospitalizations and serious complications, including death. One of the best ways to prevent the flu is through the flu shot. Since there are different strains each year, you can speak with your child’s doctor about the most beneficial one to protect your child and entire family. One of the best ways to fight disease and keep your child healthy is a simple as they come – hand washing. That’s right, by simply washing the hands after using the bathroom, before eating and after touching and sharing too much, your child can reduce nasty germs and bacteria to prevent illnesses and diseases like the common cold, flu, pneumonia and more. When hand washing isn’t feasible, keep your youngster protected with hand sanitizer. Simple and easy to use, keep your child stocked with the anti-bacterial lifesaver. A simple squeeze in the hands can help reduce the chance of contracting a number of preventable diseases and illnesses. Keeping your child happy and healthy can be a chore, especially when your child doesn’t want to cooperate. By integrating healthy living habits at a young age, your child is more likely to get into the routine for a life full of promise and better health. This will keep your child healthy this school year.